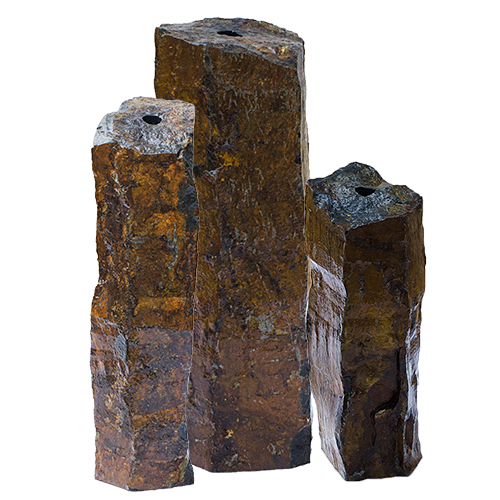 These Mongolian Basalt columns are mined from the mountains between Russia and China. Small-volume basaltic volcanism has occurred throughout central Mongolia for the past 30 million years. (1) - 24" H x 10" dia. (1) - 30" H x 10" dia. (1) - 36" H x 10" dia.